Synthetic fragrances may be pretty to look at, but you certainly don’t want them on your face. There’s a myriad of beauty products out there to choose from. Make the decision easier by limiting these ingredients in your skin care. I tell you why in my latest story for Glow Recipe. As I become more literate in the language of skin care, my evaluation of products has gone from “Oh, this feels nice,” “This package is pretty” and “Yes, this seems to work” to an obsessive evaluation of practically every ingredient and review out there. It’s no longer good enough to be a primer; now you have to be a silicone- and oil-free primer. You call yourself a dark spot corrector? Then what’s your pigment fighter of choice — hydroquinone, vitamin C, niacinamide or arbutin? And don’t get me started on sunscreen: Are your sun filters physical or chemical, what’s your PA ranking, and while we’re at it, what’s the percentage of avobenzone-stabilizing octocrylene? It’s not a bad addiction, this need to constantly evaluate. Knowledge is power, as they say, and with a booming beauty industry and seemingly every RTW designer getting in on the act, I want to know where to spend my hard-earned dollars and, more importantly, what I’m putting on my face. The best part about K-beauty e-tailer Glow Recipe is that I feel assured that everything they offer on their site is going to be free of what I like to call “the baddies” — those sneaky ingredients hidden in a mile-long list of unpronounceables on the back of a box or in a paper insert that comes with a beauty product. Now that’s not to say that these baddies are scientifically incontrovertible cancer-causing monsters that’ll result in birth defects — if that were the case, the FDA would’ve banned them a long time ago. But in a world increasingly loaded with ambiguous chemicals and toxins, the true effects of which won’t be known for years or even decades, and with a seemingly endless choice in skin care, eliminating the baddies is my quick and easy method of passing on a product and moving on to something that most likely won’t undermine all the antioxidants, vitamins, peptides and collagen-boosters I ply on my skin. After all, I don’t have decades to properly care for my skin and slow the aging process — I’m on the clock. So what are these baddies? Let’s look at three of them. 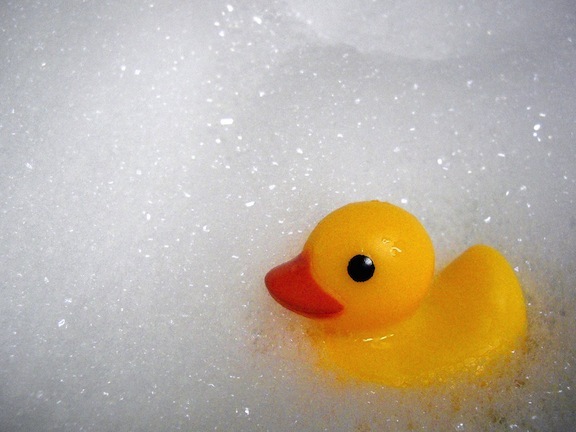 SLS may make bubble baths more fun, but you don’t want them in your skin care. Sodium lauryl sulfate is a surfactant, detergent and emulsifier; its cousin sodium laureth sulfate is a similar chemical with higher foaming ability. SLS is found in all sorts of beauty products and industrial cleaners. And while you’ve likely heard by now that all that foaming action of SLS in your facial cleansers and shampoos strips your skin of its natural oils and ruins your pretty dye job (something not all experts agree on), what you may not have heard is that sodium lauryl sulfate is a known skin irritant, and sodium laureth sulfate is considered a “moderate hazard” by the nonprofit Environmental Working Group. You see, the problem with SLS is in the manufacturing process, which yields a carcinogenic by-product. Uh, hello? I don’t know about you, but if a skincare product — a product that is supposed to help my skin — contains a known skin irritant at best and a carcinogen at worst, why risk it? Parabens, also known as methylparaben, ethylparaben, propylparaben and butylparaben, are phytoestrogens used as preservatives to protect beauty products from microbial growth. The problem with parabens is its potential link to breast cancer — in 2004, a study came out that detected parabens in breast tumors, although it did not conclude that the parabens caused the breast cancer. Indeed, in 2005, the FDA reexamined the safety of parabens and concluded that parabens, at levels up to 25%, were safe to use in cosmetic products. Don’t feel like taking a chance? Well, it’s not enough to look for the word “paraben” in an ingredient list. Indeed, fragrances can also include parabens. So the best way to ensure that the product you’re about to buy is paraben-free is for the product’s label to explicitly say it’s paraben-free, according to John Meeker, an associate professor of environmental health sciences at the University of Michigan in a 2014 story in The Washington Post. According to the EWG, when you see the ingredient “fragrance” in a beauty product (which refers to a synthetic fragrance), you might as well be reading “unknown chemicals.” That’s because a loophole in the FDA’s regulations allows manufacturers to include nearly any ingredient under the umbrella term “fragrance” without having to actually name them individually. When the EWG analyzed the contents of these “chemical cocktails,” they found many ingredients linked to allergic reactions, hormone disruption and other negative health effects. 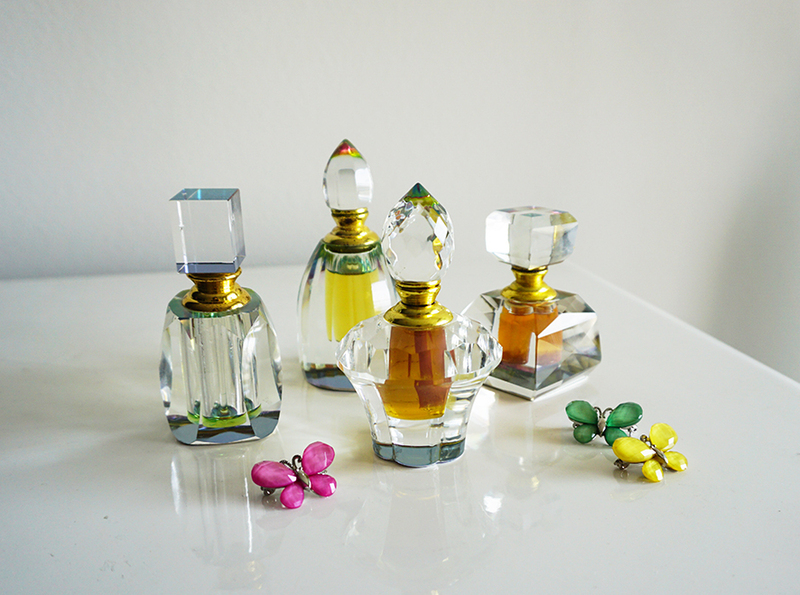 To avoid synthetic fragrances, look for the word “fragrance” or “parfum” in an ingredient list. If it’s there, pass. And don’t think that just because a product says “unscented” that that means it doesn’t have “fragrance.” That may only mean that the manufacturer added another fragrance to mask the original scent. Because when it comes to skin care, two wrongs most definitely do not make a right. What beauty ingredients do you avoid and why? As someone who has lots to learn about the seemingly endless ingredients in skin care products, I’d love to know what you’ve learned! Comment below! I agree with you. Right now I was checking a formula at cosdna… It is true that the cosmetic world uses in their formulas ingredients that are susceptible. And I think also that it is time that some products are regulated. For example, I was looking for a sunscreen formula that has so many followers! And yet one ingredients, BHA, took all my hopes to the floor and along with it I forgot the idea that it is a great product (no shine, perfect moisturizing, perfect everything…) So I went and bought another one with one susceptible yet not in red color ingredient… I forgot right now which one but …. it is a world full of choices and I prefer to check out without being obsessive, just someone who uses precaution. I agree with you princessoftherain. I don’t want to be crazy obsessive — it can be exhausting! — but for new products I haven’t tried yet, and all things being equal, I’ll go for the one with less bad ingredients. But there are definitely some products that I absolutely love for which I will forgive a bad ingredient. 🙂 We can’t live in a bubble, after all.